Aston Martin’s Lagonda brand is taking the covers off its latest concept car at the Geneva Motor Show. Dubbed the All-Terrain Concept, the latest Lagonda previews the storied brand's forthcoming crossover SUV. Following in the tread marks of last year’s aero-inspired Lagonda Vision Concept, the All-Terrain Concept cribs its looks from the nautical world. The finished product is handsome, if a smidge too minivan-like for our tastes. Inside, the Lagonda All-Terrain Concept is as luxurious as any yacht. The driver faces a steering wheel with an integrated gauge cluster in the hub. 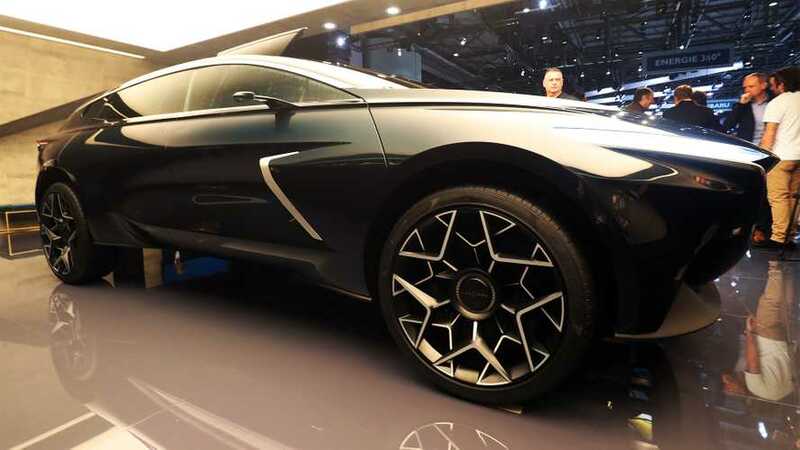 The wheel, however, is not necessary to drive the Lagonda All-Terrain Concept, as the crossover offers an autonomous driving mode. With the car in its autonomous driving mode, the driver and front passenger can swivel their seats around to face those in the crossover's rear bucket seats. Those in the back enter by way of rear-hinged doors that afford easy ingress and egress. Arguably, the standout interior detail of the All-Terrain Concept is its physical key, which levitates in between the two front seats by way of electromagnets. Power for the All-Terrain Concept comes courtesy of electricity, with the crossover's battery pack located under its floorboards. Meanwhile, a shelf under the rear cargo floor extends out and serves as a seating perch for tailgating or whatever it is Lagonda drivers do. While the All-Terrain Concept is just that (a concept), the Geneva show car is due to spawn a production variant in 2022. Lagonda will build the crossover at its facility in St Athan in Wales.